It's a great day! Since this is my first post this new month, I welcome you all to the new month of which I termed 30 Golden days of divine opportunities, in a brand new month! 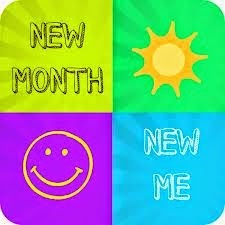 Sorry my new month wishes are coming unusually too late...sincerely apologies.. I wish you Love, Joy Peace, Sound health and wealth this month! May your goals find speedy fulfillment, may God shield you and protect you and your family this month! May helpers fall over each other to bless you! May good news never cease in your camp! I appreciate you once again for being an important part of my life on this purpose-driven journey! My prayer for you is that the goodness of the Lord will go before you this month and may you have a fulfilled month in Jesus' name! Let's watch out this new month for interesting articles,new job tips, book reviews , business tips,plus how my Facebook account was hijacked and resecured!